Way back in 2008, I walked into to Death & Co. for a drink. That was my first time in a cocktail bar and I had little idea that the experience would open the door to my love of cocktails. The good folks at Death & Co. developed many amazing drinks over the years that they rotate on their menu. So I was excited when they published a book with all of their cocktail recipes, and even more excited when my wife picked up a copy for me. One Death & Co. drink that I never had a chance to try, but will find its way into my regular rotation, is the Celine Fizz. 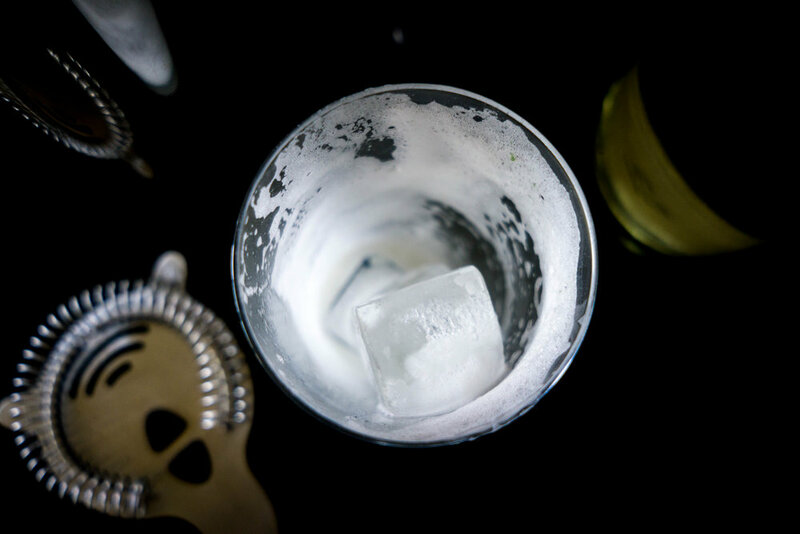 Add the gin, St. Germain, lemon juice, simple syrup, and egg white to a shaker without ice. Shake well for one minute. Add ice to the shaker. Shake again to chill the drink. Strain into a highball over ice. Top off with a splash of soda. A classic gin fizz is one of the most refreshing cocktails and perfect now that we have finally entered spring. As the weather warms up, gin fizzes (or any variations) are especially delicious. The difference with the Celine Fizz is the addition of St. Germain, the best known elderflower liqueur. As Death and Co. so aptly says, St. Germain has a "potent lychee aroma" and works incredibly well with citrus, a strong note in gin fizzes. They add that it has earned the name "bartender's ketchup," hinting at the overuse of the product. But if used appropriately and in moderation (it is quite sweet), it adds a wonderful floral element to cocktails. The Celine Fizz mixes citrusy sour, creamy texture of egg white, floral sweetness of St. Germain, and the botanicals of gin. It is really a fantastic easy-to-drink cocktail that I will make over and over this spring and summer. I suggest you give it a shot and think you will add it into your rotation as well. Enjoy!